Our Outstanding Ofsted Grades for over ten years relate to all aspects and all ages of our delivery from welfare and nurture to school readiness and individual learning. This is learning to have compassionate and rewarding relationships which bring joy, which is specifically geared towards children aged between 2 years and 5 years old. We help the children in our care learn how to recognise and manage emotions. And how to be courteous and graceful in our manners. Communication, primarily but not only through language, is the key to unlocking the variety of the world within and beyond ourselves. Our time is just for your children. We provide thousands of dynamic, authentic and quality interactions every day which nourishes successful communication that brings pleasure to all of the children in our care at Artisans Kindergarten in Harpenden. 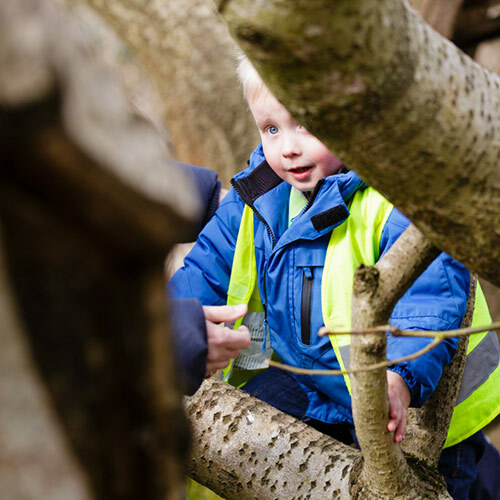 From pouring to threading, visiting the woods to planting flowers, running fast to being still – physical skills are developed in every aspect of Kindergarten life at Artisans Harpenden. "Why?" is Artisan Kindergarten's favourite word. We teach the children how to ask questions and how to find the answers. This area covers science and humanities and is as exuberant as the children themselves. Montessori Kindergarten Maths is a practical hands on experience of manipulating, seeing, feeling and hearing the concepts of quantity, shape, space, measures, scale and ratio. Beautiful and precise equipment provides a lifelong foundation and delight in maths, which your children will take with them throughout their educational life, and beyond. We celebrate the openness of children at Artisans Kindergarten, in Harpenden, to possibility - their ideas, spontaneity, energy and original perspectives. Childhood is creative: with a bit of powder paint in a puddle is artwork, a saucepan can be an instrument, a box a space rocket, the wind something to dance in. The Artisans Kindergarten world is full of Art.